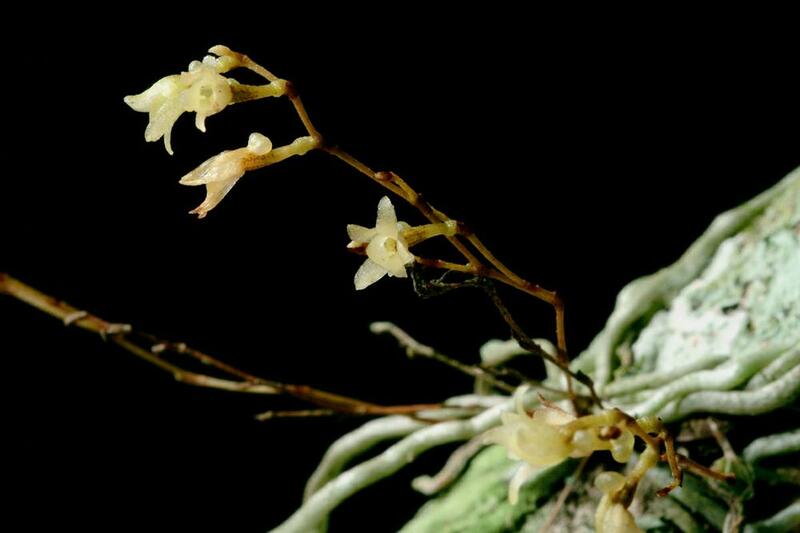 Dendrophylax is a small genus of monopodial epiphytes that occur in humid to dry habitats from Florida and the Bahamas through the Caribbean and Central America. Adult plants consist of reduced stems to which are attached photosynthetic roots. Leaves have been reduced to scales and mature plants appear to be leafless. 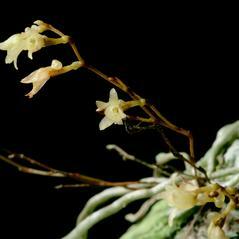 Stems are simple or branched and plants produce a solitary to few-flowered inflorescence. 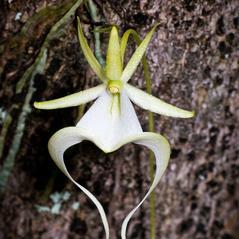 The flowers on several species are large, showy, white and nocturnally fragrant. 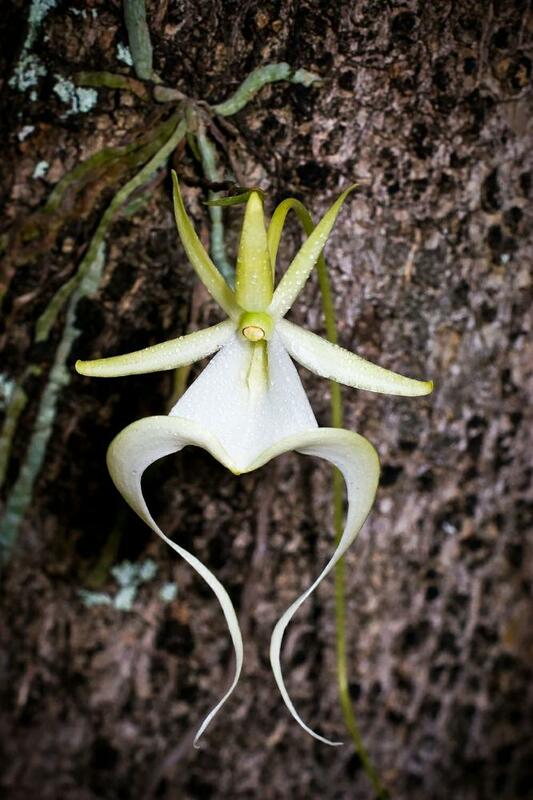 The labellum may have 2 or 3 lobes that are deeply notched at the tip and most have have a nectar-containing spur that can be as long as 8 inches. Sphinx moths are known to pollinate flowers of species within the genus.